Want to learn more about CR3? Contact any member of our core team. An internationally known researcher and educator in metallurgical and materials science and engineering, Mishra is currently engaged in work focused on environmental management through the development of chemically benign processes and the development of materials with enhanced properties. His research over the past 25 years has been supported by more than $40 million in sponsored awards from multiple federal agencies, national laboratories, and industry. 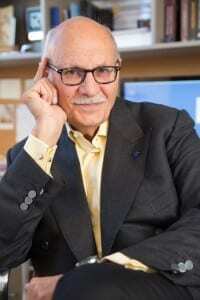 He is the author of more than 600 publications, including more than 280 papers in peer-reviewed journals. He has also edited 18 books and written seven chapters on chemical processing and extractive metallurgy. He served as a trustee of the American Institute of Mining, Metallurgical and Petroleum Engineers (AIME) from 2007 to 2012 and its president in 2011. 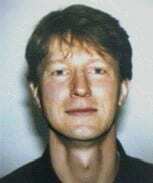 He was president of TMS (the Minerals, Metals and Materials Society) in 2006. His scholarship and leadership has been honored with a number of awards, including Honorary Membership, the highest award bestowed by the Indian Institute of Metals; the Alexander Scott Distinguished Service Award from TMS; Honorary Professor of Kazakh National Technical University and the Presidential Citation from AIME. Diran joined WPI in July 1990 as the university’s provost; today he leads the faculty and activities of the Metal Processing Institute. He is credited with pioneering work in various areas of solidification processing and powder metallurgy – specifically in molten metal processing, aluminum alloy development, plasma deposition, spray casting/forming, and semi-solid processing of metals. Apelian is the recipient of many distinguished honors and awards, national and international; he has over 500 publications; and he serves on several technical, corporate, and editorial boards. During 2008/2009, he served as president of The Minerals, Metals and Materials Society (TMS). He is a fellow of TMS, ASM, and APMI; he is a member of the National Academy of Engineering (NAE) and the Armenian Academy of Sciences. Corby has over 36 years of global experience in industrial operations, management, engineering, design, consulting, teaching, research and professional service. He is a native of Butte, America. His career includes positions with Morton Thiokol, Key Tronic Corporation, Sunshine Mining and Refining Company, H. A Simons Ltd. and at Montana Tech. He holds a BSc in Chemical Engineering from Montana State University and an MSc from Montana Tech and PhD from the University of Idaho in Metallurgical Engineering. He is a Fellow of the Institution of Chemical Engineers and the Institute of Materials, Minerals and Mining. He holds 10 international patents covering 6 innovative new technologies along with 5 new patent applications. He currently serves as the Harrison Western Professor in the Kroll Institute for Extractive Metallurgy as part of the George S. Ansell Department of Metallurgical and Materials Engineering at the Colorado School of Mines. In 2009 he was honored by SME with the Milton E. Wadsworth Extractive Metallurgy Award for his contributions in hydrometallurgical research. In 2015 he was awarded the International Precious Metals Institute’s Tanaka Distinguished Achievement Award. In 2016 he will receive the Distinguished Member Award from the Society for Mining, Metallurgy and Exploration. 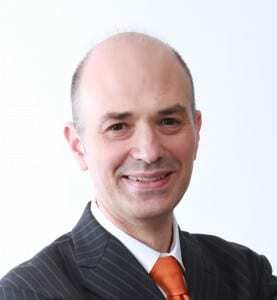 Bart is head of Sustainable Metals Processing and Recycling at KU Leuven and is a full time professor in the Department of Metallurgy and Materials Engineering (MTM). His research focus is on thermodynamics in materials engineering. He is a member of the Division of Metallurgy and Materials Engineering. Dr. G. Dodbiba is an Associate Professor in the Department of Systems Innovation, Graduate School of Engineering at The University of Tokyo in Japan. His area of expertise covers: physical and/or chemical processing of secondary raw materials for recycling; wastewater treatment; soil remediation; environmental impact assessment. Dr. Dodbiba is author of more than 80 peer-reviewed papers, 3 book chapters, and has registered more than 10 patents. 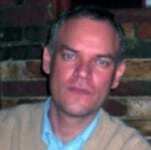 Nikolas Kazantzis currently serves as Professor of Chemical Engineering and as a member of the Center for Resource Recovery and Recycling at Worcester Polytechnic Institute (WPI); as a Senior Member at Hughes Hall, Cambridge University; as an Associate Researcher at the Energy Policy Research Group, Cambridge University; and as a member of the Technical Advisory Committee of the MKOC Process Safety Center, Texas A&M University. He was educated at the Aristotle University of Thessaloniki (Greece), University of Cambridge (UK) and University of Michigan (USA) where he obtained his PhD in Chemical Engineering. Nikolas is the recipient of the Career Award of the US National Science Foundation (NSF) and his research interests lie in the areas of process systems techno-economic analysis; performance monitoring and control in the presence of complexity; sustainable process systems design; process safety and chemical risk assessment; energy, environmental and resources policy analysis. He also serves on the Editorial Boards of the IEEE Transactions on Automatic Control, Journal of Loss Prevention in the Process Industries, Systems and Control Letters and is a member of the Technical Committee of Nonlinear Control Systems, International Federation of Automatic Control (IFAC). 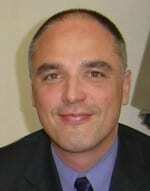 Yiannis is an associate professor at the Department of Materials Engineering, KU Leuven, Belgium. Yiannis enjoys problem-driven, science-deep research, and is leading the Secondary Resources for Engineered Material (SREMat) research group, that consists of approximately 15 PhD candidates and post-doctoral researchers. SREMat has built an expertise on the utilization of residues towards ceramic, cement and inorganic polymer (geopolymer) formulations, from the level of binder synthesis all the way to full-scale prototypes. The scientific output of SREMat from 2013 onwards exceeds 10 peer-reviewed journal papers a year. At present, Yiannis is work package leader or project coordinator in 12 national and international projects and participates in different fora and networks. In 2015, Yiannis was one of the founders of the Journal of Sustainable Metallurgy, published by Springer, where he serves as the managing editor. Yan Wang is Associate Professor of Mechanical Engineering and Chemical Engineering at WPI. He studied electrochemistry at Tianjin University, China, where he received both his undergraduate and Master degrees. His Master thesis was on cathode materials for Ni/MH batteries. 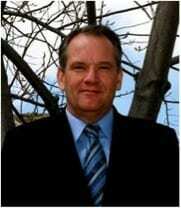 His doctoral thesis was in the group of Derek O. Northwood at University of Windsor, Canada. 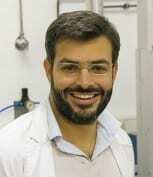 His research focused on the study of the fundamental corrosion mechanism of metallic bipolar plates for PEM fuel cells. As a postdoctoral researcher in the group of Yet-Ming Chiang at Massachusetts Institute of Technology (MIT), he studied ultra-high energy density microbatteries, which was funded by DARPA. He has published ~50 peer-reviewed papers, two book chapters, applied five patents and co-founded Battery Resourcers LLC and AM Batteries LLC. He has been a regular reviewer for over 10 journals and has been the panel reviewer for National Science Foundation (NSF), Department of Energy, Mass Cleantech Innovations, Louisiana EPSCoR, and Oak Ridge Associated Universities (OARU).